There is increased pressure on consumers worldwide to look good but the costs are also taxing and in the current economic climate where are some of the places to look good for less? 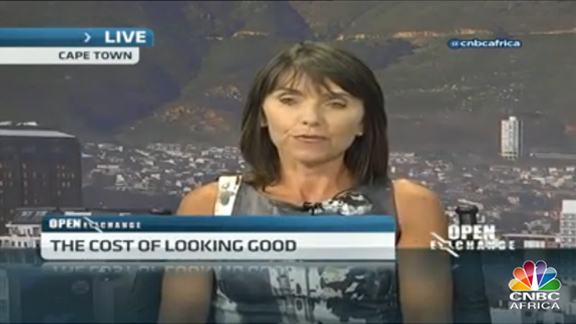 Faith Cartwright, Founder & Director, Medical Tourism S.A joins CNBC Africa for more. How SA’s Unique offerings helped Boost Medical Industry. Faith Cartwright is the owner of the self-contained rooms in Roselea Boulevard in Claremont. I have stayed in this house for two weeks. It's very clean, and its location is very nice, near to shops, transport and walking distance to Cape Town Fertility Clinic! It's affordable and you can have either your own room with kitchen and bathroom or shared bathroom and kitchen! We just got back from what has to be one of the best days ever. When we left, we had no idea what to expect, but we were blown away. My day started with a wine tasting of some of the best wine I have ever had. The restaurant manager was congenial and informative. I then moved to the spa where an excellent aesthetician gave me a great hot stone massage and facial. Enclosed is a picture from our leisurely lunch, with an excellent view. We weren’t sure if the restaurant manager was serious about giving us a wine tour after lunch, but he was. He took us through the wine cellar and vineyard.The driver is also very good.Faith, thank you so much for arranging such an amazing day. I do plan on recommending you to others on the forum. My husband and I spent 3 amazing weekends in Cape Town. We had gone for fertility treatment at Cape Fertility Clinic and stayed in Faith’s Footprints Guest house. We enjoyed our trip thoroughly and are grateful to Faith for making our stay beautiful and comfortable. I’m also happy to report that our treatment was successful, thanks to the expertise of CFC and we are expecting a baby early next year. If all goes well we will return to Cape Town quite soon and will certainly be staying at Footprints Guest house. We just got back from what has to be one of the best days ever. When we left, we had no idea what to expect, but we were blown away. My day started with a wine tasting of some of the best wine I have ever had. The restaurant manager was congenial and informative. I then moved to the spa where an excellent aesthetician gave me a great hot stone massage and facial. Enclosed is a picture from our leisurely lunch, with an excellent view. We weren’t sure if the restaurant manager was serious about giving us a wine tour after lunch, but he was. He took us through the wine cellar and vineyard. The driver is also very good. Faith, thank you so much for arranging such an amazing day. I do plan on recommending you to others on the forum. Faith recommended and arranged quality accommodation and sight seeing opportunities that were all with in our price range and exceeded our expectations. Furthermore, when we had a difficult journey to SA (not organised through MT SA) Faith followed up and ensured that our luggage which did not go through with our transfer was delivered to us at a remote nature reserve at the earliest possible time. Faith’s personal care ensured that we were able to relax and concentrate on the medical procedure we were in SA for. She also recommended and arranged the best dining experiences we have ever had and showcased all SA has to offer. Her driver was also prompt, friendly and provided lots of local information and what ever we asked. All activities were well organised, fun and a real credit to Faith’s ability to match things to do to our personalities and also ensuring they did not jeopardise the treatment we had gone to SA for. 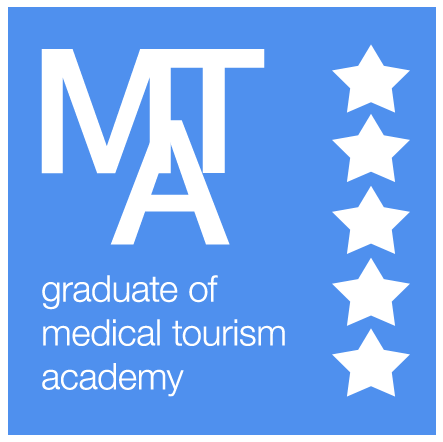 We would highly recommend Medical Tourism SA to not only customers in SA for medical procedures but anyone wanting a great holiday and a friendly helpful contact to take care of you. 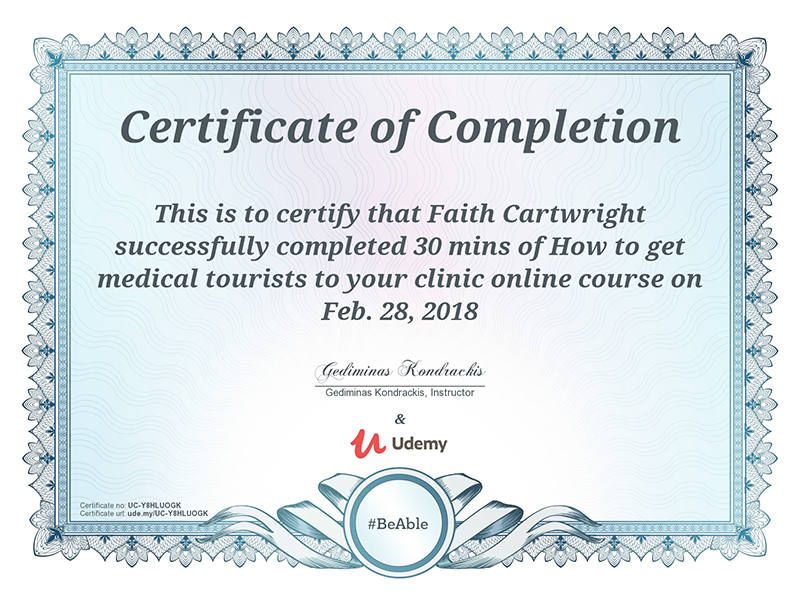 My journey with Medical tourism started with my online research for a medical surgery overseas. The representative provided me with a great professional service. Although esthic surgery is mostly advertised on their website, the representative of Medical tourism found very quickly a doctor to conduct my medical surgery. The representative was daily in touch with me, in order to ensure a successful resolution to each of my inquiries.